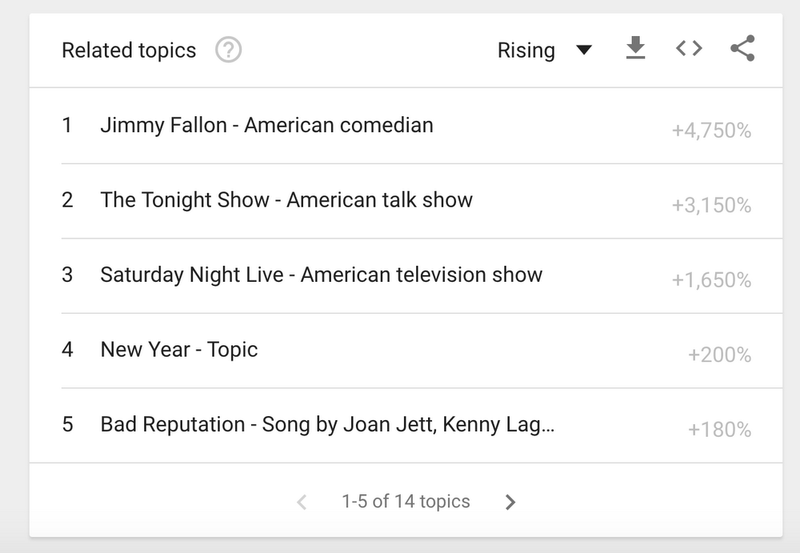 Google Trends can be window into the world, giving us a peek into what people are searching for—whether it’s elections, music, sports or games. Now you can see the world in realtime through more lenses: News, Shopping, Images and YouTube. We’re opening up more data to show what people in the world are looking for, as they’re looking for it—whether it’s just out of curiosity, to write a story or something else. 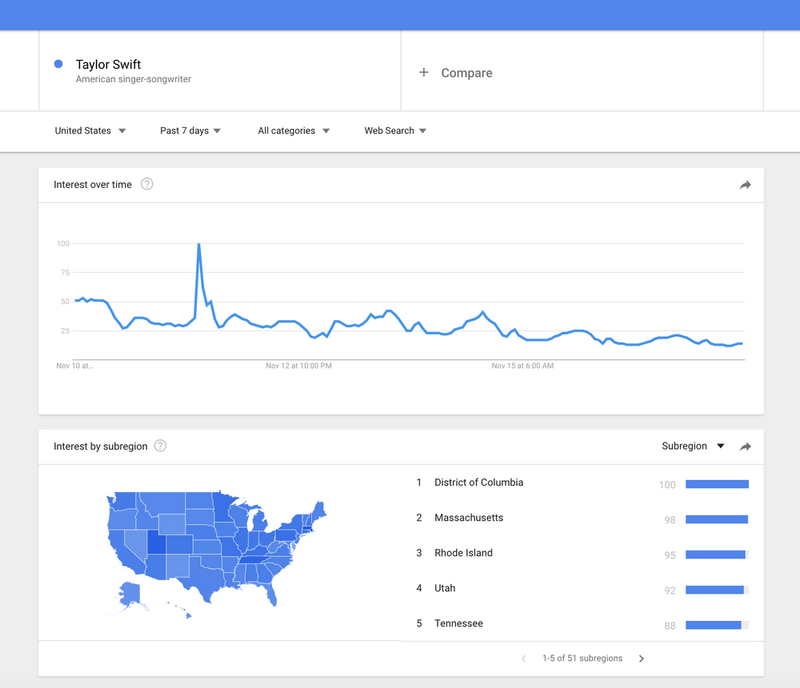 And it’s really easy to do: say you’re curious about search interest in Taylor Swift following the recent release of her latest album. 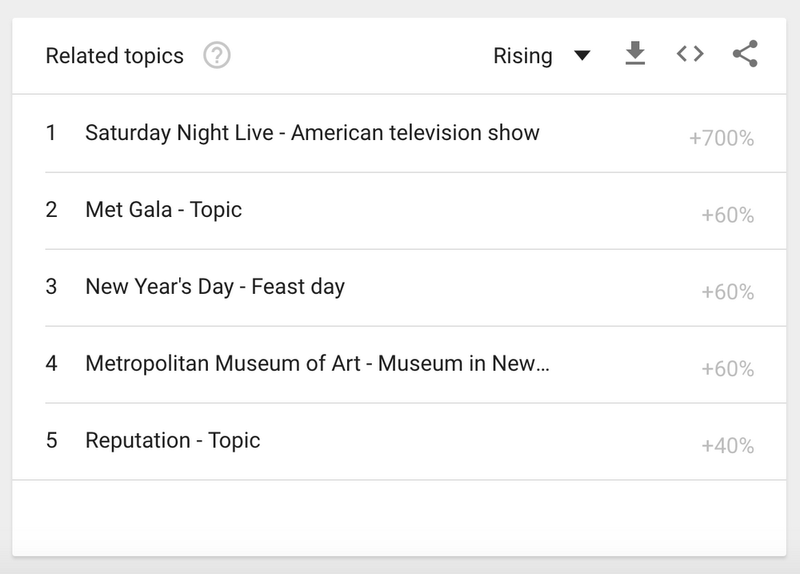 You now have the option to explore that data in different ways, like finding the related videos that people are searching for on YouTube. That takes you to a page like this, which shows search interest in Taylor, worldwide. You can then change the time range to within the last seven days and the geography to the United States. That’s now showing search interest in the U.S. for the past week, and looks like this. 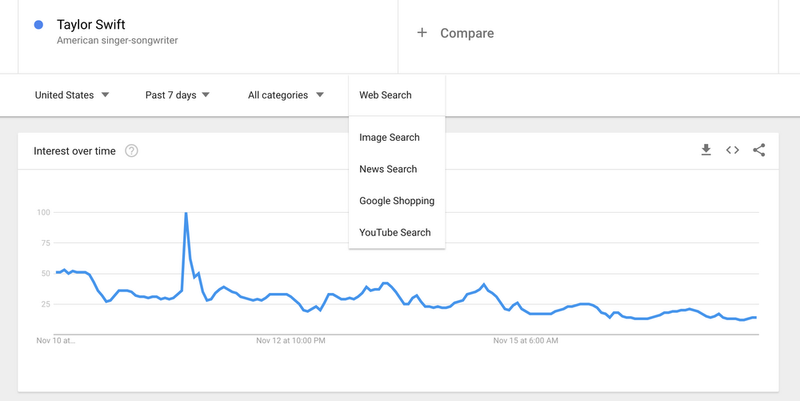 But switch it to Google Images and you can see a 700 percent spike in searches for “Saturday Night Live,” after her performance on the show. Explore the Google Trends site and see more of how the world searches for Taylor, her music or anything that you’re interested in. And you can read more about how Trends data works here.